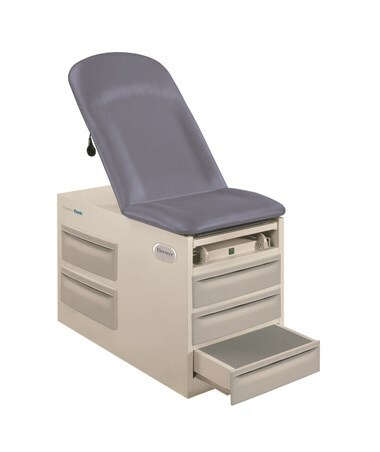 The Brewer Basic Exam Table is a reliable, entry-level exam table, with all the safety, comfort, and quality features you need in an intelligent, value-driven design. 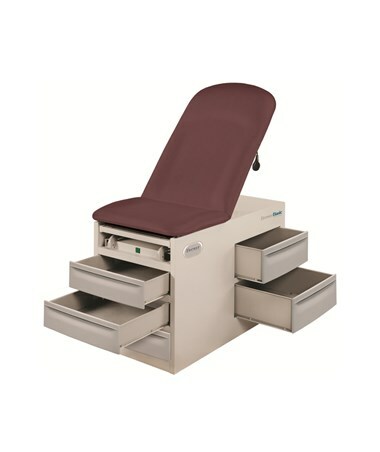 A sturdy step with safety mat ensures maximum safety during patient transfers. The step conveniently tucks away when not in use. Additional features like simple pneumatic back, 325 lb. 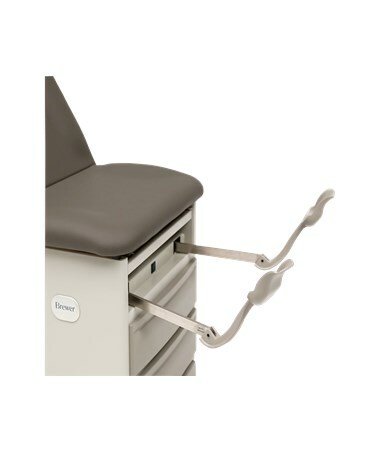 weight capacity, adjustable ergonomic stirrups, and plastic debris tray enhance patient safety while providing a convenient and functional workspace. The table can be designed for left or right configurations, please select one before you check out. 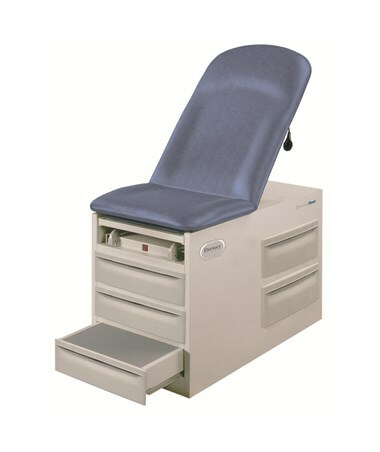 The Brewer Basic Exam Table also features the largest storage available, with both front and side drawers. The convenient paper roll holder accepts 21" and 18" paper rolls. Seamless bolstered support upholstery is ergonomic, easily-cleaned, and available in 18 standard color options. Custom colors are also available. Includes Brewer's full 3 year warranty. 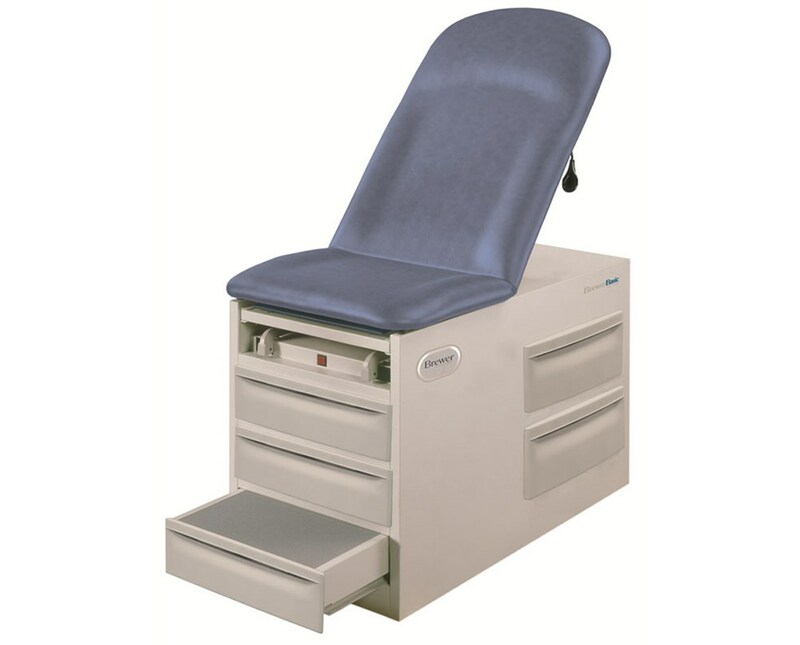 The Basic Exam Table is available in 18 standard upholstery colors with Left and Right Side configuration. Patient Step Dimensions 20.5" x 11" x 8.6"
Front Drawer Dimensions 19.7" x 19.2" x 4"
Side Drawer Dimensions 22.7" x 20.2" x 7"